This Black Friday I decided to search for an espresso maker over all else. Our counters are pretty full so I wanted something compact. I decided to go with the Nespresso Insissia and so far it is just about perfect. Totally beats Starbucks. Fits perfectly into the little space that I have for it. The Inissia is very easy to use. 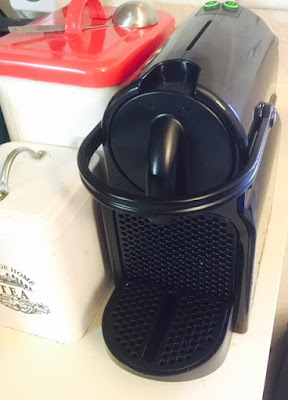 You just raise the bar, place a Nespresso pod into the top, press the bar down and brew. I actually taught my sons how to use it because they were interested! As your espresso is brewing you can whip up some foam using the Aerrocino frother which is often sold in a package deal. If you already have a frother you can buy the machine alone. 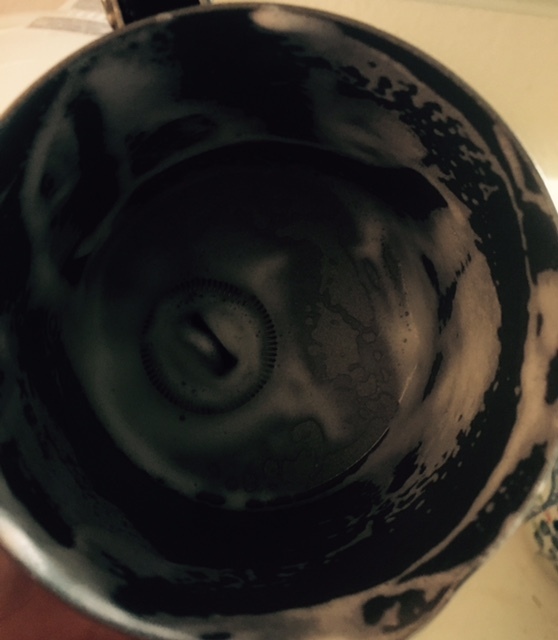 There is a little magnetic whisk at the bottom which produces a lovely foam. The whisk detaches easily since it is magnetized. Heaven in a cup! You can see the Aeroccino in the upper left corner. This machine makes it easy to create a nice cappuccino or latte. 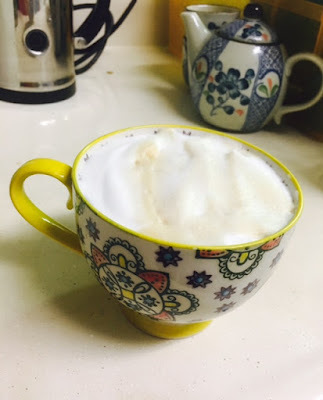 I actually enjoy Nespresso lattes far more than Starbucks because I can use my favorite organic milk and they are ready in a matter of minutes. When I feel like having something fancy I just add a little flavor to the milk before adding espresso. Stumptown still wins though. Wishing you all warm and cozy moments in this freezing weather!